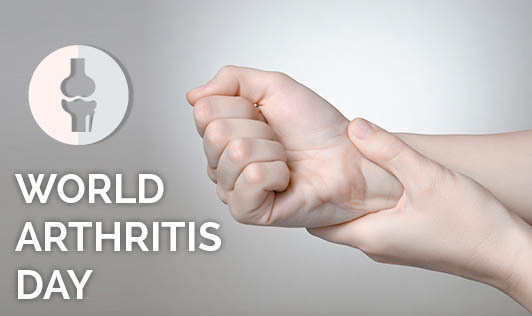 October 12th of every year is celebrated as World Arthritis Day in many countries. Arthritis is a condition which refers to damaged joints. Osteoarthritis which is the most common form of arthritis occurs due to the wear and tear of the joints with progressing age. Your weight can be a risk factor for arthritis. Carrying extra weight for a prolonged period of time puts excess pressure on your joints (particularly the lower joints) and can increase the chances of osteoarthritis. A study conducted in the US shows that the number of arthritic patients have increased in the last five years and one of the causes might be obesity. Millions of adults have problem climbing stairs, dressing, gardening and other things. One of the ways to prevent or postpone this disease is to maintain normal weight. Check your weight regularly and consult the dietitian if you carry extra weight.